The BRAND NEW GoE MONEY!!! Course - Take YOUR MONEY!!! Life To The Next Level! Includes the complete program of four full length video presentations by Silvia Hartmann, over 32 MONEY!!! themed exercises, a comprehensive online course manual, certification and The GoE Modern Energy Foundation Course as a special bonus. Take YOUR MONEY!!! Life To The NEXT Level! All change starts at the energy levels before it manifests in the Hard. Heal, refresh, recharge and ENERGIZE with a special sequence of brilliant Modern Energy techniques, patterns and methods created especially for you by one of the world's most experienced course writers and true innovators, Silvia Hartmann. Real change happens only by Star Events – powerful, personal, full body experiences that take your energy system to the next level. The entire brilliant GoE MONEY!!! 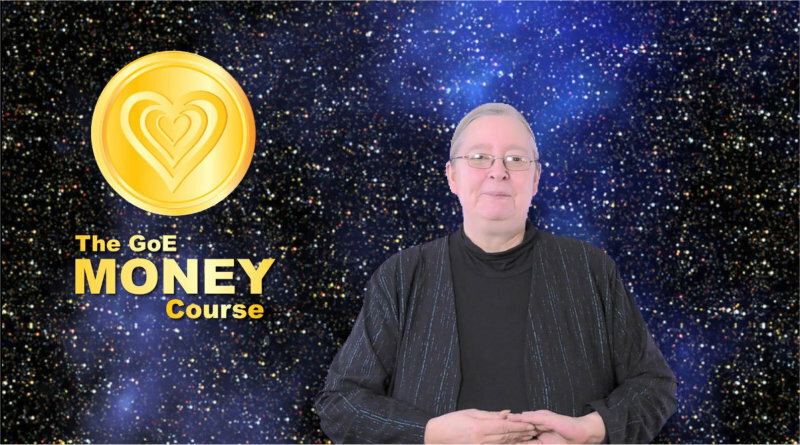 Course is focused on exactly that – for YOU to have your very own STAR EVENT that will literally transform your relationship with MONEY. A Treasure Trove Of Brilliant Exercises! In this extraordinary new Modern Energy course, Silvia Hartmann shares an absolute plethora of her own favourite exercises and techniques, based on her vast experience with people from all walks of life and from all around the world over the last 35 years. 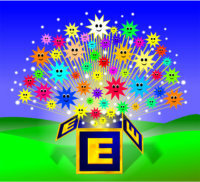 Pick and choose YOUR favourite exercises to create YOUR STAR EVENT! Learn NEW Methods, Gain NEW Insights with Silvia Hartmann! See, hear and experience for yourself how the Creator of Modern Energy Silvia Hartmann “does Energy” - you are going to learn far more than just the information, techniques and exercises from these straightforward video presentations that make you feel you are a part of a global workshop on MONEY!!! ENERGY. 100% Positive, 100% Uplifting & 100% INSPIRING! No tears, no traumas, just 100% positive, POWERFUL Modern Energy that will bring bright, fresh, clean NEW ideas, inspiration and real POSITIVE change into your world. Fantastic, exciting, fun – 100% inspiring and uplifting! Easy, Natural, Practical and PERFECT! There's absolutely nothing in this fabulous course that a normal human being cannot do. When we do things right, they become easy! You will LOVE the natural, simple and fabulously powerful experiences this course will provide for you! Finally solve your eternal MONEY!!! problems? Take your financial incarnation to the next level? Get over all that was old, and give yourself a fresh, new start? Start to finally realise your own potential for real world success? Make a REAL change for the better? then the GoE MONEY!!! Course is for you. ***** Not sure you know enough about Modern Energy to take this course? Don't worry! We have included the The Energy Course Course in this very special offer at a very special price! Review The The Energy Course Course first, then go on to get the very best from The MONEY!!! Course. We want everyone who wants some REAL change to experience the true power of Modern Energy! The Foundation Course with optional GoE Certification is an additional bonus value of £47.95 GBP and included in the course package price. 4 Full Video Presentations, 1 Hour Long Each, Containing 30+ Awesome Modern Energy Exercises! A truly amazing story arc of four powerful presentations, created by Silvia Hartmann, containing an absolute treasure trove of powerful Modern Energy exercises for you to pick and choose what feels RIGHT to you. Silvia Hartmann will personally lead you through the exercises, step by step, so YOU can experience the power of Modern Energy to make the changes YOU want to make! Each presentation is approximately 1 hour in length and contains literally life changing information as well as the techniques and exercises that will rock your world! Remember! Just ONE Star Event Will Change Your MONEY Life! Just ONE real breakthrough experience will make all the difference to you. There are over 30 opportunities to experience YOUR real threshold shift on this course. Welcome To The GoE MONEY!!! Course! 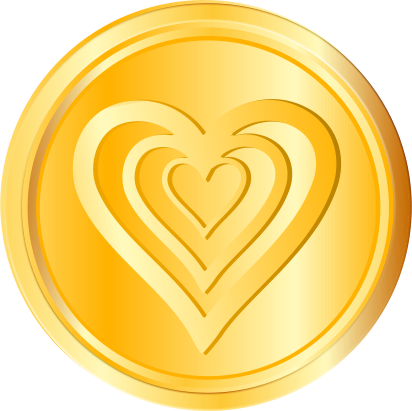 Why Money Is Important - Money Stress To Money Success - The Energy Average - Star Events - The Lightning Strike Experience - Actively Seeking Change - The MONEY!!! Course Set Up - The Heart Of Gold - Energy FIRST! The Power Of The Positives - The Power Of MORE - The MORE ENERGY! Flow Exercise - The Three Step Energy Flow Exercise - Energizing With Energy Positives - Positive Memories: Your Treasures & Riches - Energy Tapping: Activating A Star Memory - The Missing Events - Overcoming The Fear Of Loving MONEY - MONEY As The Ultimate MONEY Positive - Energize With The Energy Of MONEY! 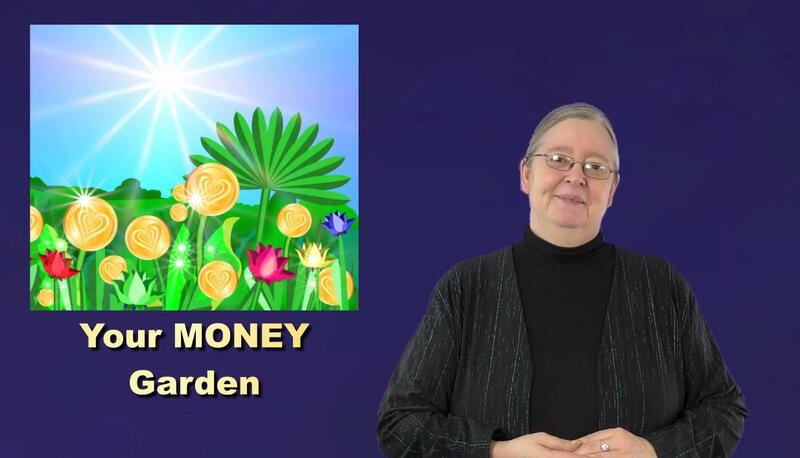 The brilliant, fully colour illustrated online MONEY!!! Course Manual. Gain further information, be absolutely certain you have understood all the key points, and find all the diagrams you need for in-depth understanding of all the course materials and exercises. Find full instructions on all the exercises you can access on your computer, tablet or phone anytime, anywhere! Connect with other participants world wide, share tips, experiences and inspirations! Complete an online test and gain YOUR MONEY Course certificate! Includes access to the GoE Energy Library and much more. The complete 4 Unit Video Course with Silvia Hartmann, a value of £47.95 GBP by itself. The 1st time we ran this course was in January 2019. Work towards a REAL Star Event for YOU! 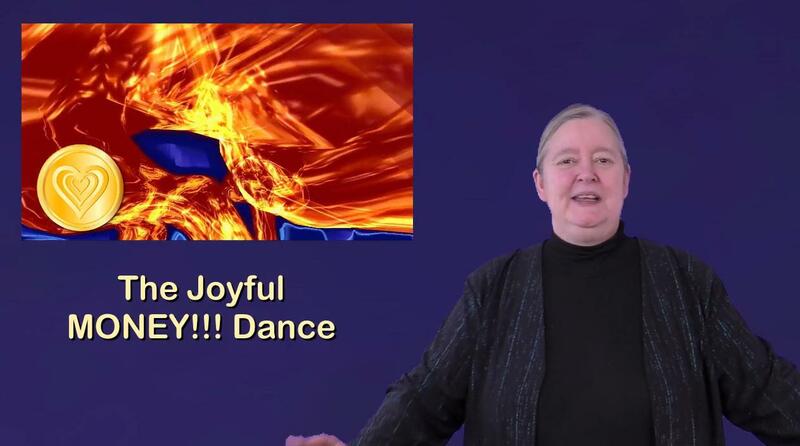 Learn AMAZING new information direct from the Creator of Modern Energy herself! Discover and practice brilliant NEW energy techniques that work for YOU! Gain YOUR Star Event that will take your MONEY Life to the next level. Don't spend another minute trapped in repeating cycles that you can't think your way out of. Don't spend another minute trapped in eternal MONEY stress! You do NOT need YEARS in therapy before you can succeed. You need a real change of heart – a real Star Event to take YOU to the next level. Give yourself the chance to make it happen. The GoE's absolute, 100% Life Time MONEY!!! 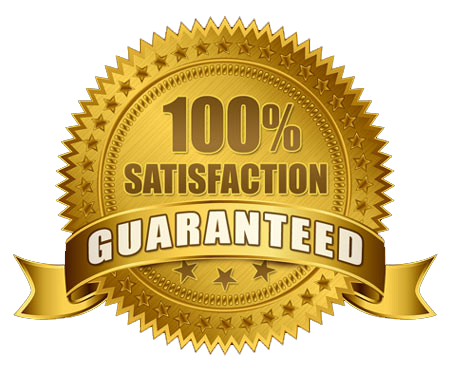 Back Guarantee - we know you're going to love this course! Q) How will the course be delivered? You'll be given access to to the online course when you sign up for the course. You will find a list of the course units, and for each course unit you will find also written instructions and diagrams. You can access the online course through your computer, Smart TV, tablet and on your phone anytime, anywhere. Q) I don't have a Facebook account - can I take part? We recommend you create a Facebook account so you can connect with other participants, share experiences and gain from the group, but if you can't then you'll still have access to all the course unit videos and the online course manual hosted on our own website, GoE.ac. Q) What is the GoE MONEY!!! Group? We use Facebook to host the group for this course. Here, you can meet with other participants, share experiences and learn from each other. Joining the MONEY Group is optional. Q) I'm not currently a GoE member - can I take part? Yes! We have included the Modern Energy Foundation Certification program in the price of the MONEY!!! Course. By completing GoE Modern Energy Foundation before you start the MONEY!!! course, you'll have a base and foundational understanding of the core principles of the Modern Energy techniques. Q) What is included in the Modern Energy Foundation and MONEY!!! Course bundle for £47.95 GBP? Q) Why is the course price so low? Silvia Hartmann has asked specifically to keep the course price as low as possible so that people in financial difficulties can still find the funds to join. Q) Why is the course not free then? Sadly, nobody takes freebies seriously. The GoE MONEY!!! Course is a powerful, information packed pro level course that deserves attention, and a person has to take the decision to invest wisely in their future. The course fee is an important part of the process of commitment to a better future. Q) Is there certification or an additional certification charge? No, certification is included in the course fee. 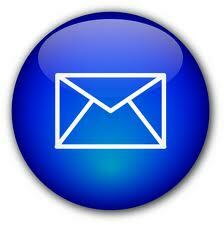 Q) Will I get a Handouts Manual, DVDs and a Printed Certificate in the mail? Please note this is a modern ONLINE course. The idea is that you can access your course materials on any device, at any time, anywhere in the world. You will receive a personalised certificate (Adobe PDF) with your name that you can print out and frame once you have completed the course. Q) What do I have to do to get my certificate? Each of the four course units has an end-of-unit multiple-choice test. Once you have completed all four units then you'll be emailed your personal certificate (Adobe PDF) for printing out at home. Once you print out your certificate, please do post a selfie to social media so the group can congratulate you on your achievement. Q) Can I teach this format to others? If you're a licensed GoE Trainer you can teach this course as per normal. Contact your Member Support Manager Zoe Hobden for more details. Q) Can I translate this course? If you are an existing GoE Trainer, please contact the office to discuss translating the course manual. Q) How do I enrol? Most customers prefer to use PayPal these days, but we do accept card payments over the phone or online bank transfers. See below for details. Q) I can't use PayPal in my country - how do I pay by phone or online transfer you the money?